In 2011-2012, the Institute partnered with the City of Markham, Ontario, to look at the connections between suburban and urban environments. Specifically, to propose ways that Markham could develop its its suburban character to be more environmentally sustainable, more heterogeneous in terms of housing stock, and, generally, to develop new forms of social-cultural life in the city. As a key part of the curriculum, the Sustainable Cities of the Future Charrette was the first event to look closely at the issue of sustainability in suburban environments. The charrette was held from September 30th to October 4th, 2011 and brought together over 70 participants. The premise of the charrette was to broadly develop new programming and tools for Markham and other suburban cities to develop homogenous parts of its suburban character by promoting environmentally sustainable public programming. Charrette teams were asked to design an interactive, digital tool that would encourage sustainable public behaviour in Markham, Ontario. Suburban cities need to become more sustainable. This does not mean sacrificing the features that makes suburbs attractive. Markham is located on the northern border of the city of Toronto. It has one of the most diverse populations in Canada, just over half of its residents are new Canadians. It is also known as ‘Canada’s High-Tech Capital’ due to a successful economic development plan launched in the late 1990’s that brought 900 high-tech and life science companies to the city. The urban face of Markham today is the result of its dynamic growth and evolution. Traces of rural heritage are still prominent in places, with heritage buildings and traditional main streets contrasting the dominant suburban pattern neighbourhood developments. Abundant green spaces, large parks and areas of preserved wilderness make the town feel very green, however, large company ‘campuses,’ big-box stores, and shopping malls have followed a traditional suburban development pattern resulting in an extremely car-centric urban layout. A successful public transit strategy, the Viva system, has increased modal share in recent years, however, it remains challenging for residents who want to use alternate modes of transportation such as walking or cycling. Today the Town of Markham is striving to develop its identity further to include: fostering a denser urban fabric with a greater range of housing types and price ranges; a stronger identity as a creative hub for innovation; greater integration of sustainable practice into everyday activities; an emphasis on collaboration and fostering new types of businesses; and a strong urban infrastructure that supports these practices. Towards this goal, the Sustainable Cities of the Future charrette asked participants to propose new digital programming and tools. Four teams of interdisciplinary students worked over four days to develop more sustainable ways of living for residents in Markham. The charrette was structured around themes that were randomly assigned to the teams. Each team received two themes, from the list of transportation, public service, education, energy, culture, live/ work, resource management, and commercial enterprise. Pairing the two themes, the teams set out to make digital design solutions that could contribute to making Markham a sustainable city. The charrette brief specified that the results should be easy to use and publically accessible digital tools and public interfaces. The teams came up with ranging concepts, including games and public service response systems, that they envisioned working through interactive websites, applications, and crowd sourcing tools. 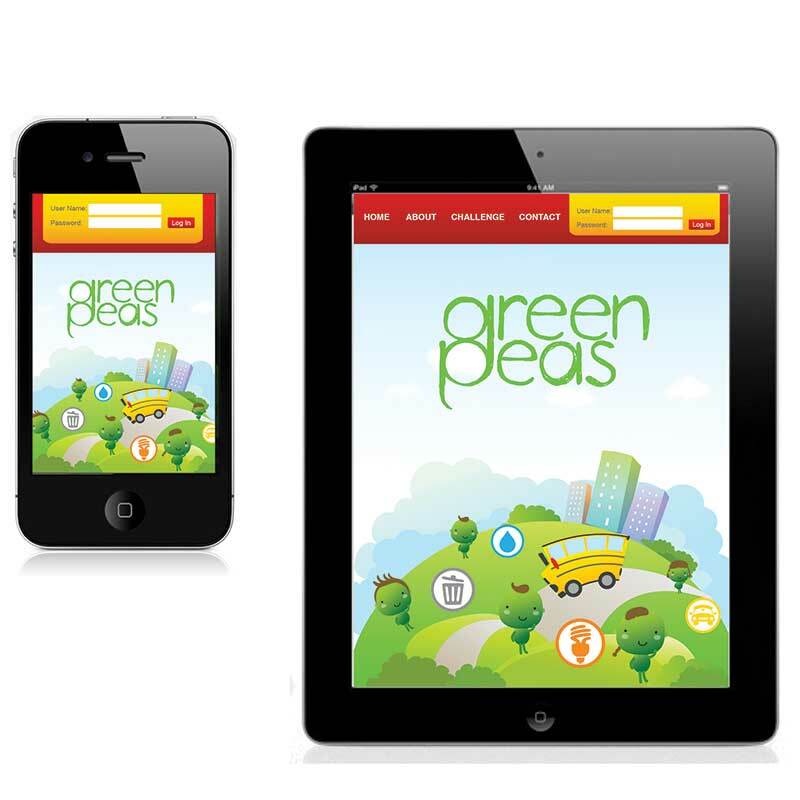 For instance, Team 4 developed a system where Markham’s kids could challenge other kids and their teachers through a game and website tool called “Green Peas.” In this game, kids become ‘green’ superheroes that create content and new sustainable programing and behavior in Markham. The charrette showed powerful ways that a city and its citizens can co-create new sustainable living practices and tools. Importantly, each team planned out the media campaign for their proposals and a detailed implementation plan, showing that these solutions could be readily implemented. To find out more about this charrette, see the teams’ proposals and presentations videos below. Team 1 proposed “ Routed,” an innovative community planning initiative that lets cyclists and drivers form partnerships and take action on developing a state of the art cycling infrastructure in Markham. Routed uses crowd sourcing and provides an application for cyclists in Markham to track their daily bike commutes and record problems such as potholes or dangerous intersections. This information is aggregated and sent to the city so that planners can have a clear picture of the needs of cyclists. The information is also made public through social media channels like twitter to apply public pressure on the city to take action. Commuters, who drive to work and home everyday, can also join in on the action by signing up to ‘sponsor’ stretches of the road in Markham. Sponsors receive updates from cyclists and are encouraged to take action when problems arise. Find out more, watch the Routed Project video. 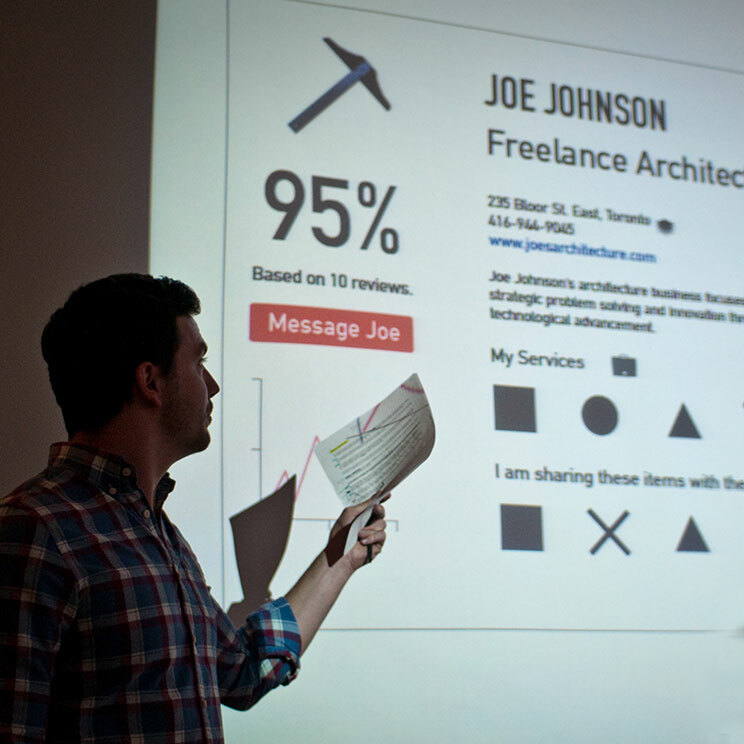 Team 2 proposed a digital tool called “Proximity” that encourages and expands business relationships in a given area. Based on a real time analysis of a user’s geographic location, surrounding services and resources are available through a database and sorted by relative proximity. Users can expand on the database base model by making connections with other users, rating their experiences, and strengthening their own businesses by establishing reliable interdependencies. Find out more, watch the Proximity project video. Team 3 proposed an interactive tool called “Greenstream” that promotes sustainable behaviour by reducing energy consumption with incentives and rewards. This digital tool aims to encourage sustainable behaviour through a comprehensive, simplified, and interactive virtual guide for energy conservation. User’s energy consumption can be measured and energy consumption that is reduced can be rewarded through a rewards redemption program. 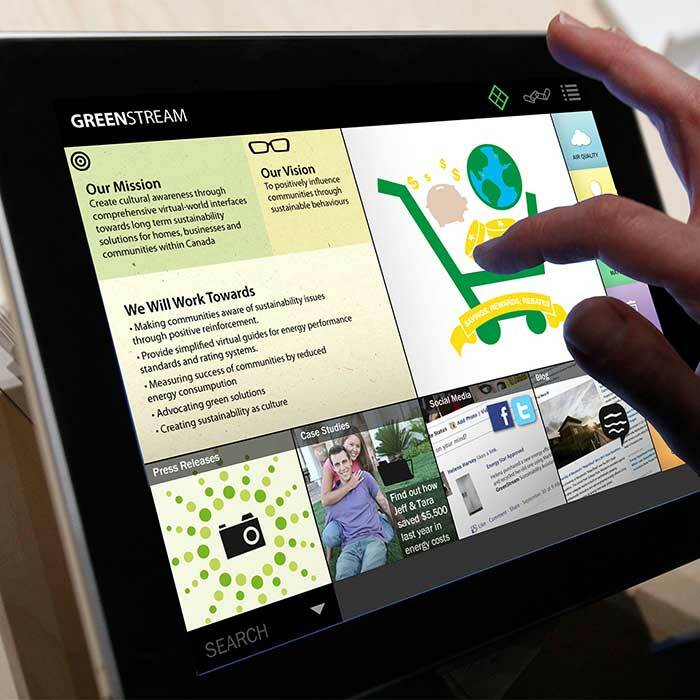 Greenstream aims to encourage a culture of energy conservation in Markham. Find out more, watch the Greenstream Project video. Team 4 proposed “Green Peas,” an electronic game and website that educates elementary school students on sustainability and resource management in an interactive, competitive, and engaging way. For example, a student could challenge her friend to plant a tree. The website would allow for the student to send a challenge to another student in their class or school. The other student could accept the challenge and then do the task and post a picture of the task when it is done. The site would allow students to track the different challenges they have done in a fun and friendly way. Teachers would be able to go onto the website and track what challenges students have initiated and completed. Find out more, watch the Green Peas project video.